(Roebuck, South Carolina) — 10/14/2017 – Global Public Safety, the Maryland based firm that recently acquired Light-N-Up has relocated to a new full service location in Roebuck, South Carolina. 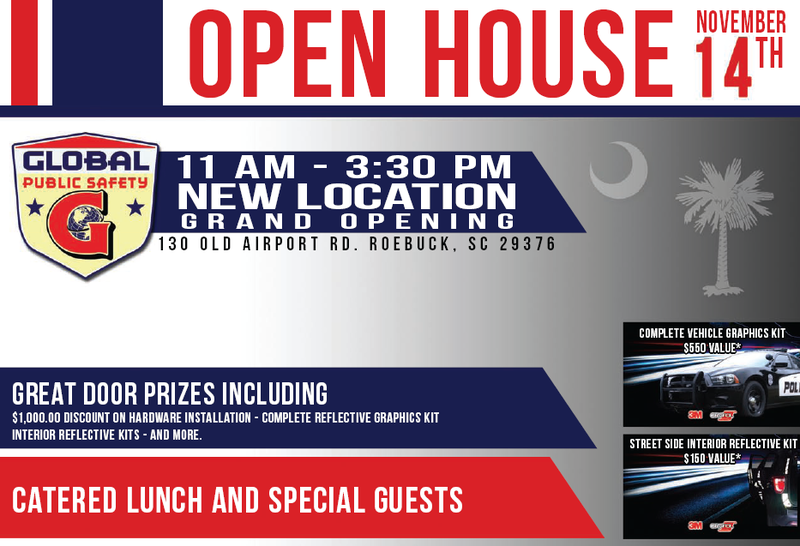 The new shop conveniently located at 130 Old Airport Road will be hosting a Grand Opening ceremony to celebrate the inauguration of the new location Tuesday, November 14th. Public Safety officials are cordially invited for the inauguration of the new facility as well as an informative look at new public safety equipment and vendor representatives.